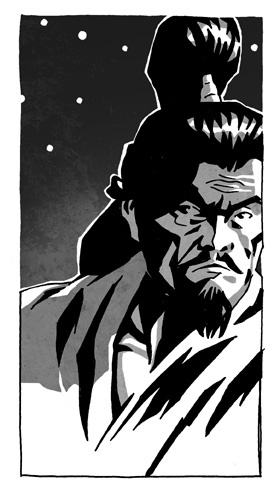 Getting massive satisfaction from drawing this Samurai badass. So much so I just offered to draw a couple more pages. Here's a preview from another page of 'Stowaway' by Dirk van Dom.